When I was in Switzerland, I took myself on a day trip to Zurich. Most of the nation's major cities are easily accessible by a few hours' ride on the train. 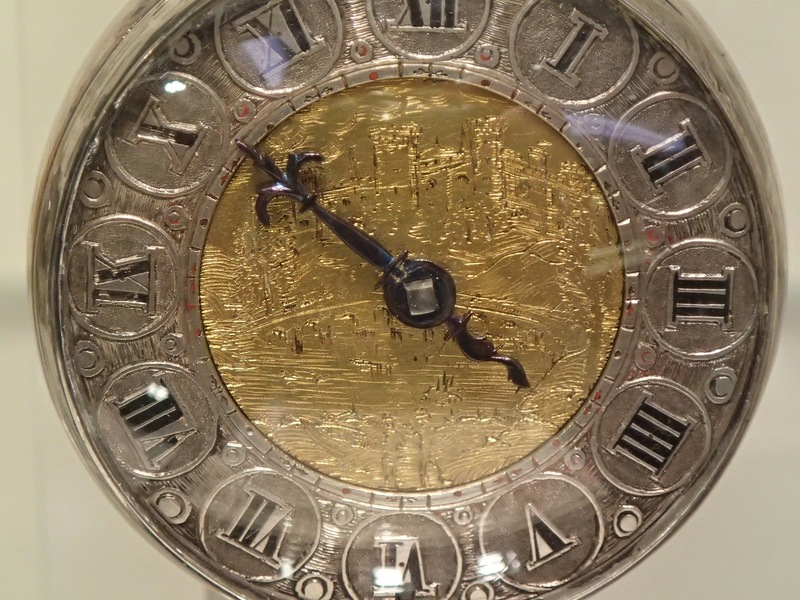 One of my favourite parts of Zurich was visiting the Beyer Watch Museum. It was only one room, but I must have spent at least an hour in there, admiring and examining their huge clock collection. They were organised chronologically, from the first primitive instruments, through to the earliest mechanised devices, and eventually to the most accurate electronic clocks to date. I couldn't believe how old some of them were! The candle was used to measure time by how much wax melted every hour. The oil clock worked by a similar principle. 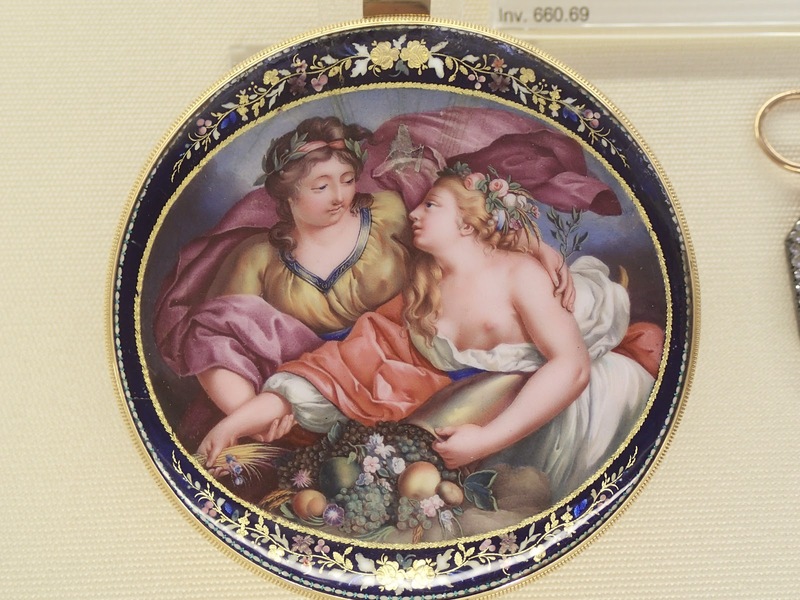 Many were stunningly beautiful, and were works of art in and of themselves, not merely tools for measuring time. Many of the clocks had a hidden switch that, when you touched them, activated moving parts which played music or reenacted a live scene, so they functioned as much for entertainment as they did for practicality. Unfortunately all the artefacts were captioned in German, so I didn't always understand how they were meant to work. But the friendly and very eager museum staff was ready to answer all questions in whatever language you desired. 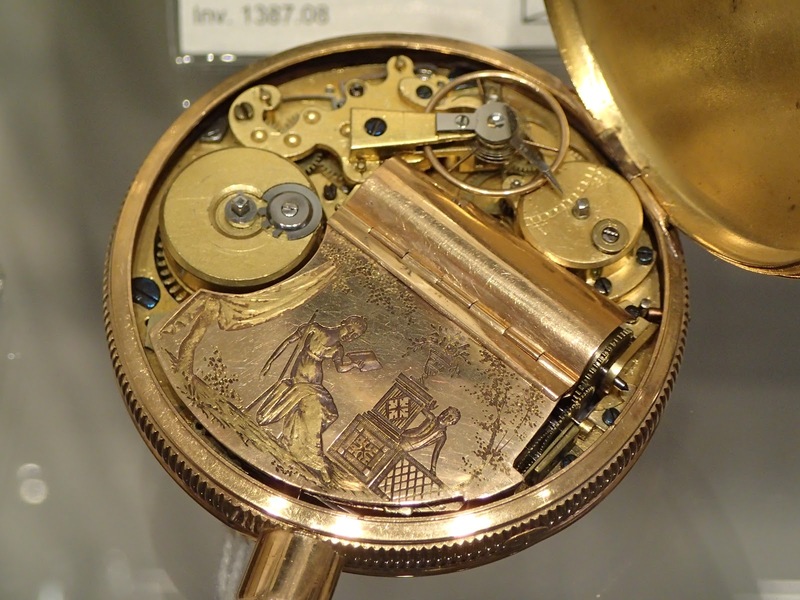 My favourites were the pocket watches with their intricate details. Just by looking at them, you get an idea of the person who would have owned it, their sense of style and taste, and how they might have used their expensive watch to show off to others about their social standing. The key is as beautiful as the watch itself. A lot of care was put into the details. 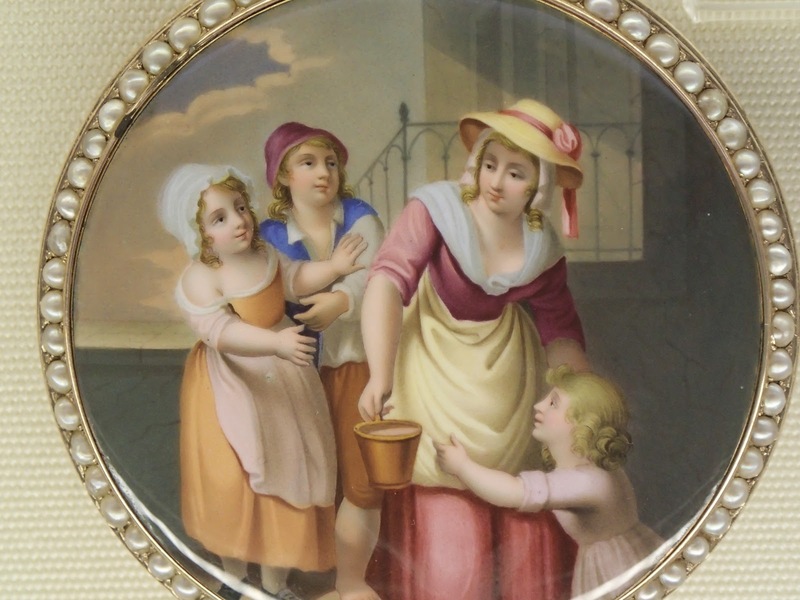 Watches often featured fine period or classical paintings. Some were a bit naughty. 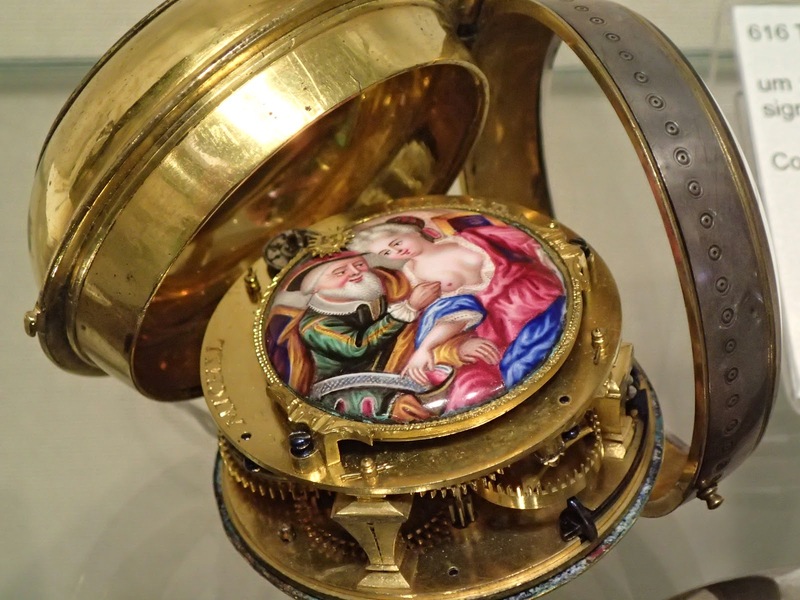 I can't begin to imagine the kind of focus and skill needed to design these watches - and that was just on the outside! I really enjoyed seeing the interior workings of the clocks, too. Even the inside of this pocket watch was decorated. 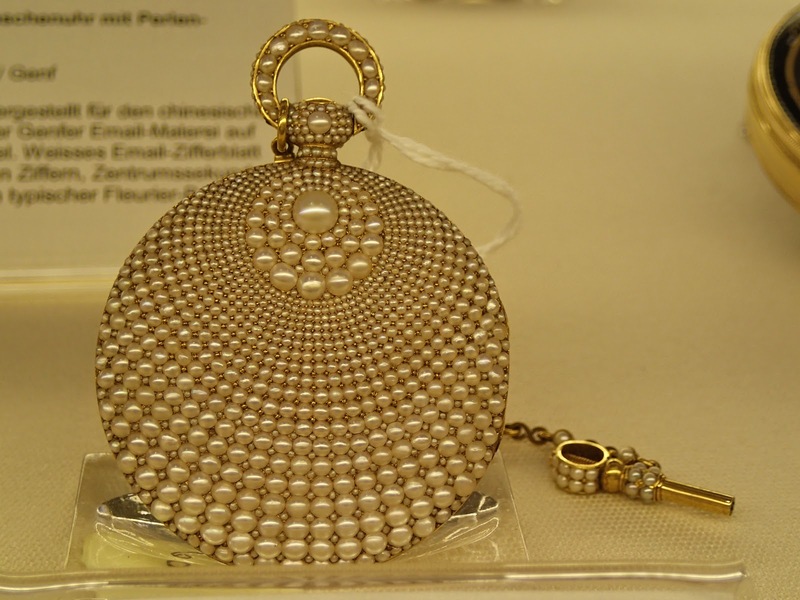 A see-through pocket watch, one of my favourites in the museum. 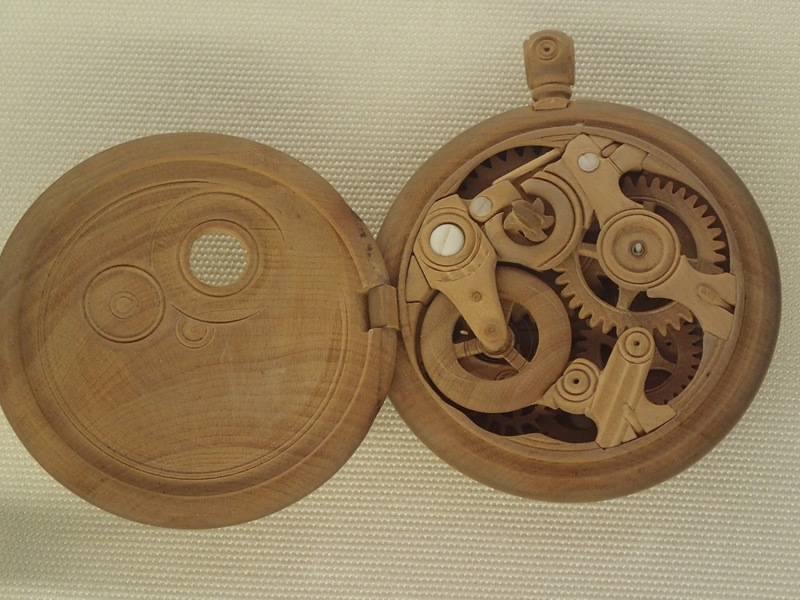 A wooden pocket watch. It must have been so difficult to make! I had fun trying to photograph the miniscule details close up. 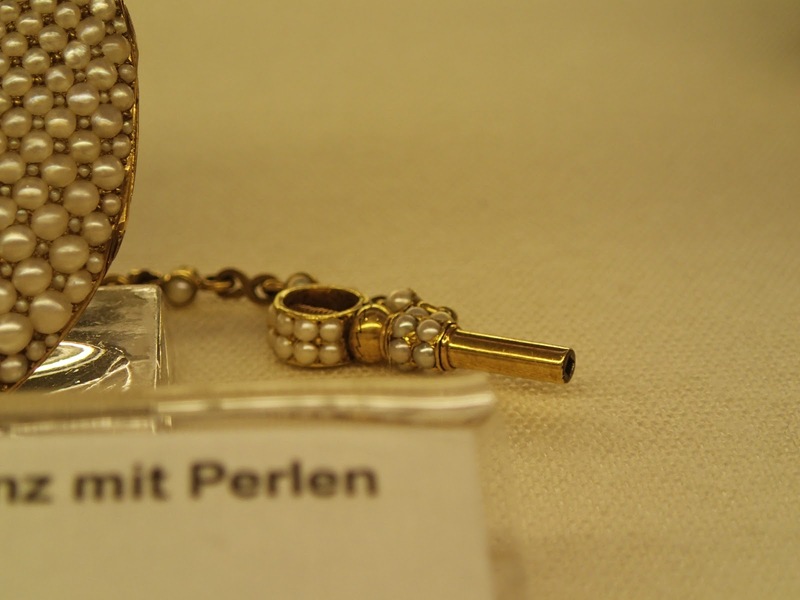 I was amazed by these delicate little clocks set onto rings - even a miniature sundial! Meet the smallest pendulum clock in the world! The square metal frame was about the size of the nail on my pinky finger. 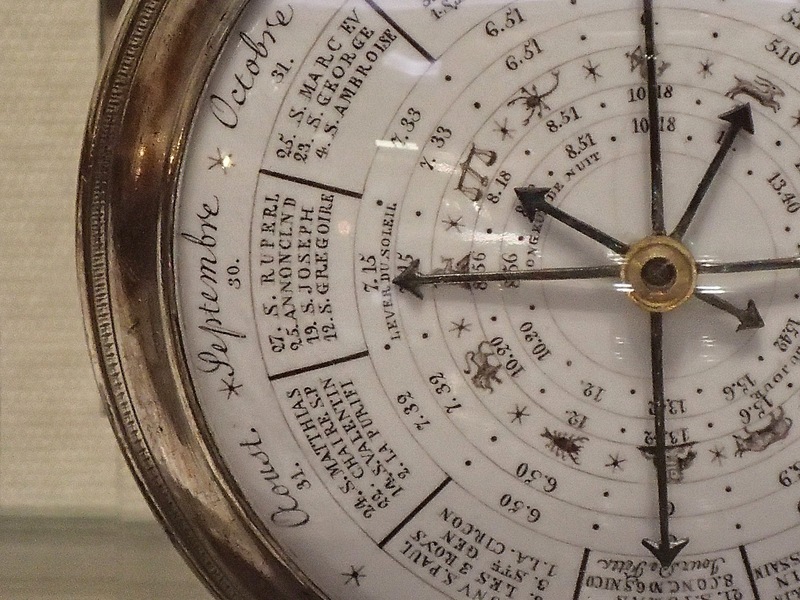 I left the museum with a renewed appreciation of the artistry and science that our society has devoted over thousands of years to the understanding of time, and our attempts to control it for daily use, but in the end, how time-keeping has shaped us. Besides the museum, what else did I see in Zurich? 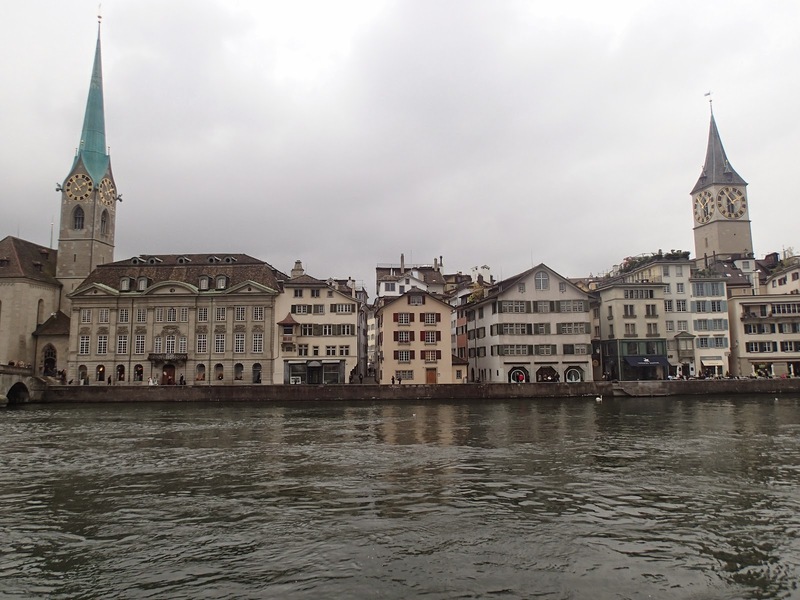 Well, I had a simple but lovely day (despite the grey weather), wandering around, sight-seeing, visiting the major landmarks, drinking hot chocolate, and strolling along the Limmat river and Lake Zurich. I snapped this audacious swan, which was probably trying to con some food out of me. Of course, I made it my model. Having only a day to spend there, I left with an impression of a bustling commercial city that still retains its sense of history and culture (not that I got to see much of the latter). But I think next time, I'll stay in Zurich overnight. Before I went, I got mixed responses from my various informants. Some said they found it boring, others said they loved it. Have you ever been to Zurich? If so, what did you think of it? Please share below. Wow those clocks look amazing!